Whenever I travel, my sister asks for a postcard. I always buy a few. I usually write at least one. Sometimes I even get a stamp. Rarely does a card hit a foreign mailbox. Almost always, the cards are hand-delivered. And while one of the postcards has already been signed, stamped, sent, and received, until the others arrive, this post(card) will have to do. Last month, my friend Sarah and I crisscrossed the Portugal-Spain border. The day I stumbled into Lisbon, still recovering from my red-eye and transfer in Munich, Sarah welcomed me with a box of pastéis de nata. Our time in Portugal revolved around these incredible custard tarts in a caramelized crust. Sarah wanted to sample pastéis de nata from every corner bakery and pasteleria we passed, but once I tried the original from Pastéis de Belém, I couldn’t go back to mere copies. I loved the ones in Belém so much that on our last day in Lisbon, we took a €15 taxi for one final taste. And we did take in a few sights, including ducks, peacocks, and a couple of Portuguese good luck symbols in a little park near our hotel. We started our time in Seville with a tapas tour. Best. Idea. Ever. What better re-introduction to a city I hadn’t visited since college than a four hour (tapas) bar crawl with a virtual local (Shawn) who can find food to satisfy any taste? I like fish and vegetables, Sarah wanted to try everything. And Shawn navigated our preferences as easily as she navigated around the Sunday after-churchgoers vying for space up against the bar under dozens of jamón hanging from the ceiling like the pots and pans that adorn my own kitchen. She also armed us for our own gourmand adventures over the next few days with lists of restaurant recommendations and real-time tweets about where to go and when to show up to guarantee a table early or to catch the kitchen before it closed. Sarah’s done a great job of cataloging her favorite stops. 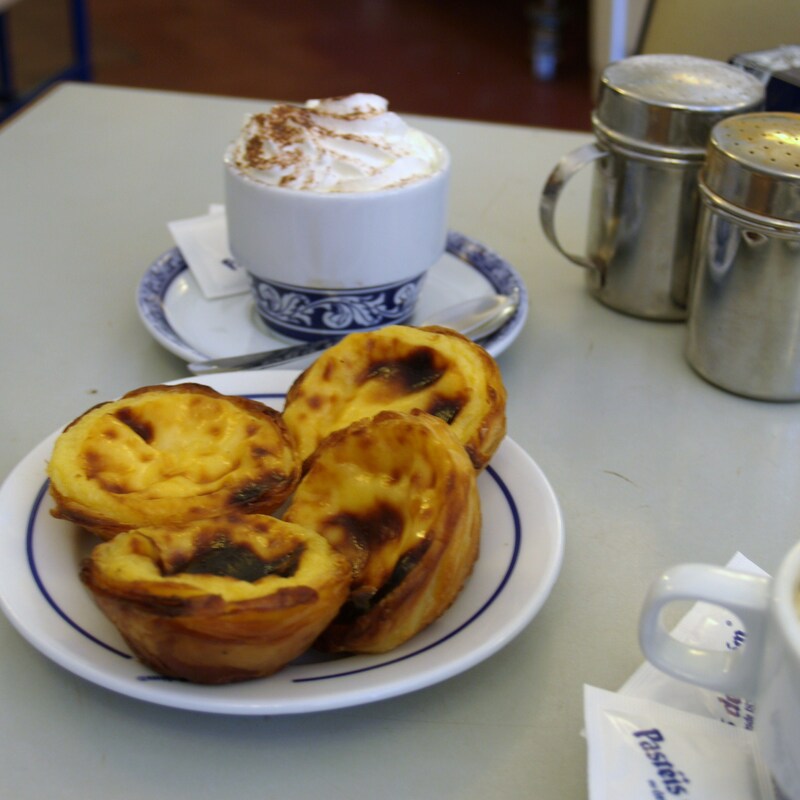 Just like I can’t stop thinking about the best pastéis de nata in Belém, I keep replaying in my mind our meal at La Azotea until my mouth waters (as cliché as that sounds). 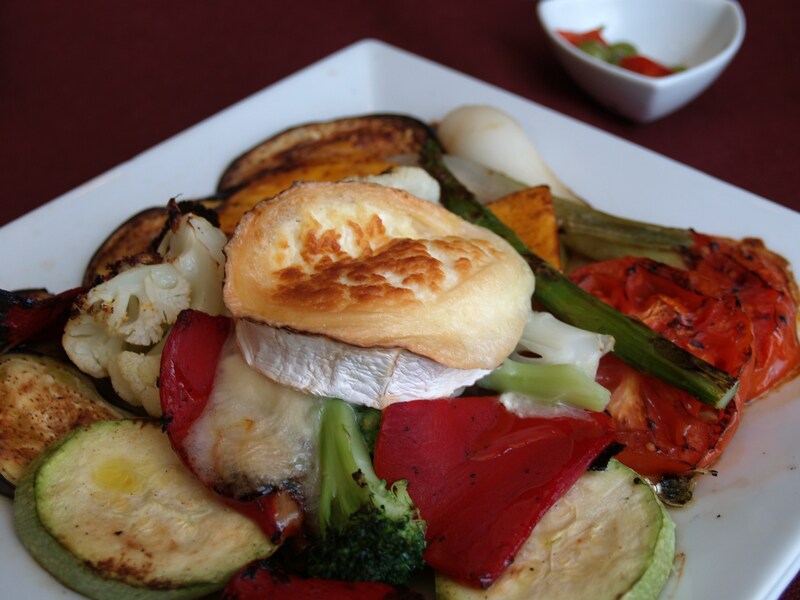 After several days of largely fried foods, I was craving more vegetables than salmorejo could offer (more on that cousin of gazpacho in just a bit). La Azotea delivered. We were greeted and seated just before 1:00 at one of only six tables. Just in time, too, because by 1:15, all six of those tables were filled and the waiters could barely squeeze past the lunching crowd crowding the bar. Lucky for us, owner Juan helped us choose lunch and wine and dessert. Course after course,we pulled out our cameras and peppered Juan with questions. When I asked for a recommendation on a good local wine store, Juan slipped out the front door with us, crossed the street and unlocked the door to Vinos y Más. Only open in the evening, the restaurant’s wine bar is filled with some of Spain’s best goodies, from local wines and olive oils lining two walls to cheeses and meats behind a glass case. Wine barrels scattered in the small space serve as high-top tables. I leaned against one as Juan helped me pick out several wines to bring home (to be carried back, as usual, in my suitcase). When we finally followed the scent of orange blossoms back to Santa Cruz, it was nearly 5:00 pm. After days of stuffing ourselves with tapas and walking from monument to cathedral to clothing store, we dedicated our nights to flamenco. 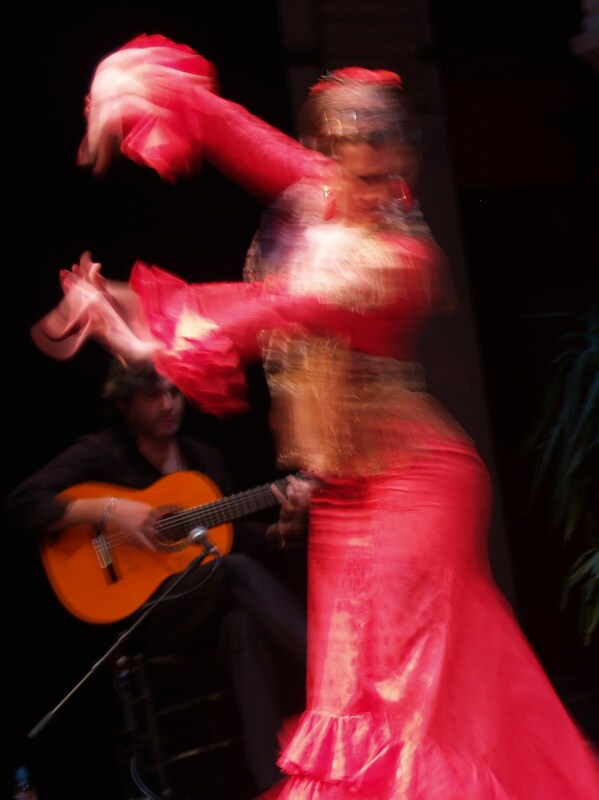 We saw one, sometimes two shows a night: in tablaos like my favorite El Arenal and the more commercial Los Gallos; at Museo del Baille Flamenco – the flamenco museum where I also took a flamenco dance class (!! ); at La Carbonería (Levíes, 18), a hidden-from-the-street almost subterranean bar with a nightly flamenc0 gathering at 11:00 pm. Clearly we should have hit La Carbonería before our last night when we had to catch a midnight bus back to Lisbon. 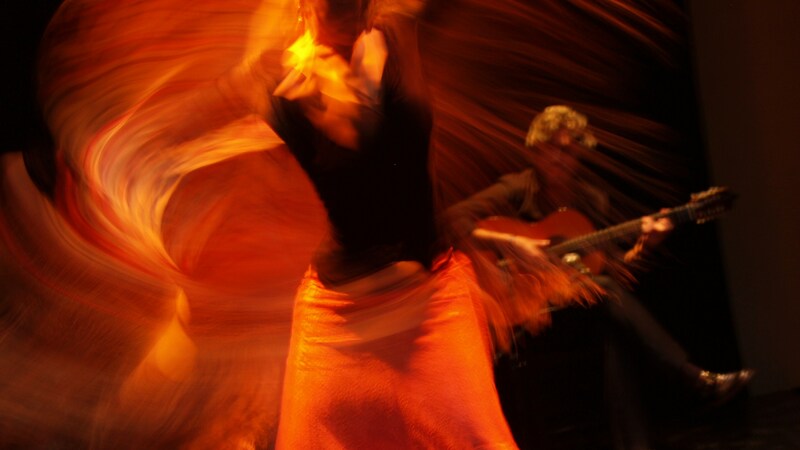 Flamenco is all about the interplay between the dance, the music, and the song. Assuming that I would mainly watch the dancer, I found myself again and again drawn to the guitarist’s fingers strumming, plucking, tapping the strings and reflected in the dancer’s expression and fanning hands. Don’t worry…I didn’t forget about that salmorejo recipe I promised. Every day (sometimes twice a day) I ate this tomato-only, slightly thicker with the addition of more day-old bread, riff on gazpacho. 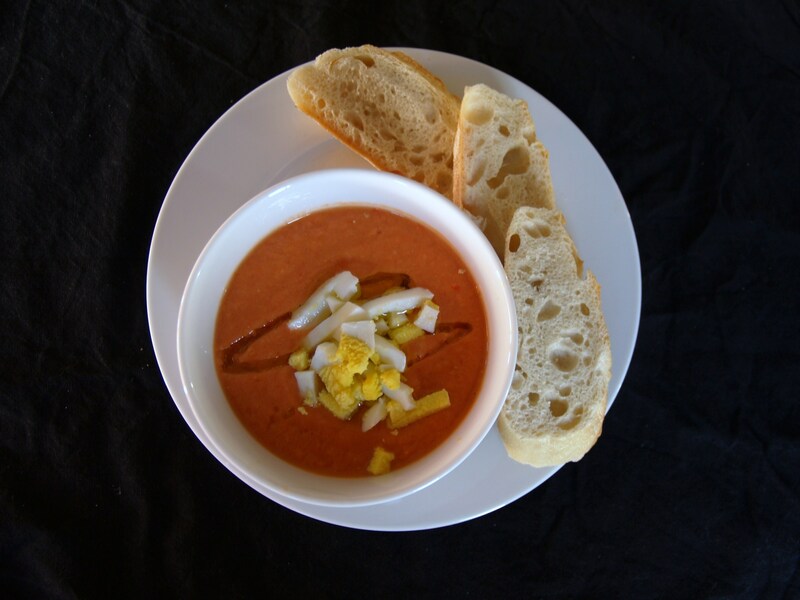 Or maybe gazpacho is a riff on salmorejo. Luckily, I love them both. 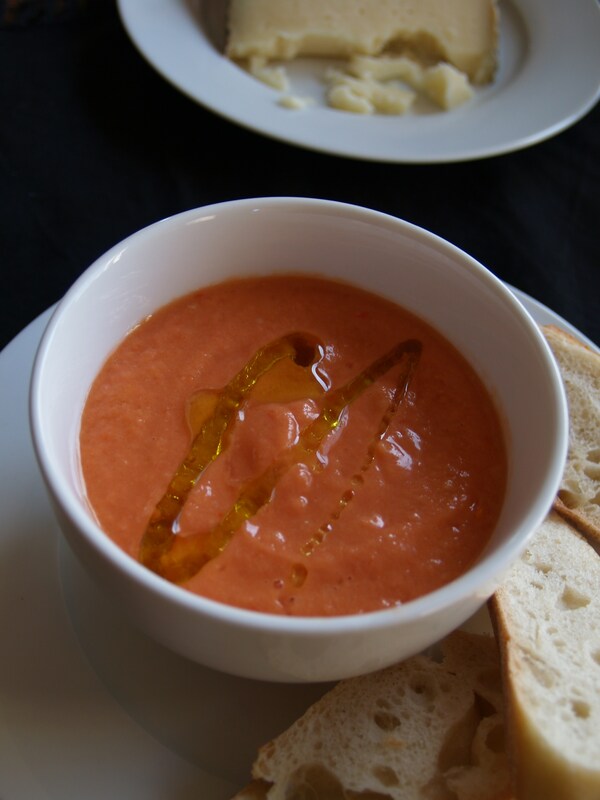 Salmorejo is a creamy chilled tomato soup thickened with bread. It is traditionally served with a sprinkle of diced egg and ham. – 2/3 day old baguette (~200 gm) — in a pinch, I’ve used pita! Purée. Core and roughly chop the tomatoes. You can peel them for a smoother consistency, but I haven’t found that it makes an appreciable difference. Throw them in blender with the garlic and purée. A lot. The mix will be a light red. Add vinegar, salt, and regular olive oil. Keep puréeing until smooth and orange. This can take a few minutes. You might need to do it in 2 batches. Soak. Tear up the bread and drop into the blender with the tomato mixture. Let soak for about 15 minutes until soggy. Boil. Hard boil the eggs. Cool. Purée again. Once the bread is good and soggy, purée until smooth and even lighter orange. Garnish. Drizzle with a special fruity olive oil and sprinkle with chopped egg (and ham if you want). 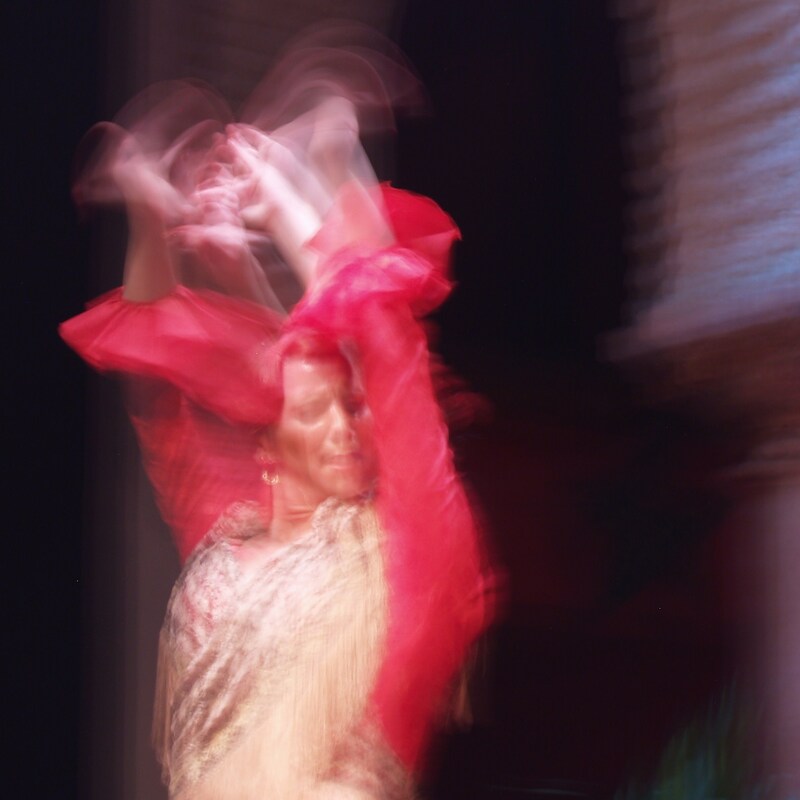 What awesome pictures of the flamenco dancers, now I wish I stayed to see you take the lesson. I am in the midst of Pesach vacation with all three kids at home, what I would do to eat another pastel de Belem or watch the world go by while munching on tapas. Did your sister ever get the postcards I sent? Great story and pictures to go with. I love the idea of the postcard ritual. I wonder if I could use matzoh?? Kismet. Absolute kismet brought me to your blog. We also just, just, just got back from Spain. 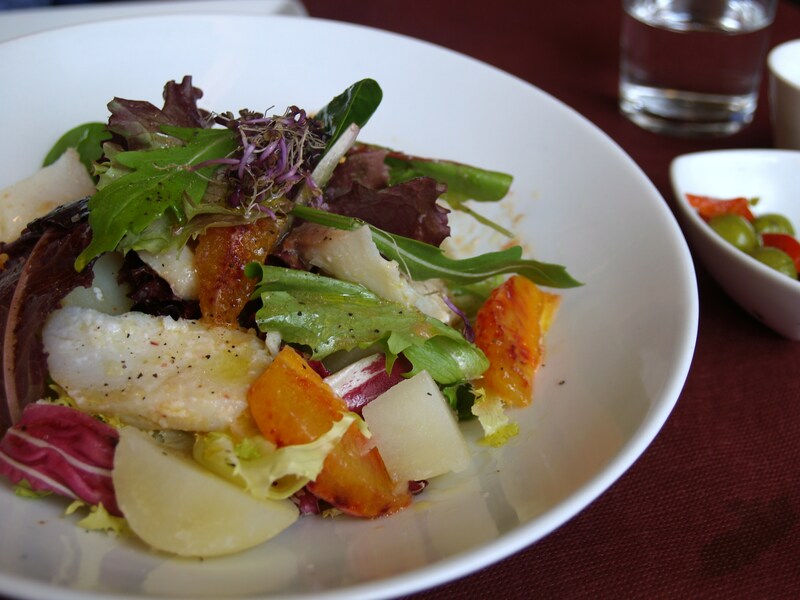 I became a little obsessed with all things fish, although I didn’t dally in any gazpacho. This one will be bookmarked for late summer, when tomatoes are actually edible here in Boston. Chag Sameach! Hey, thanks for the kind words and the linkage! 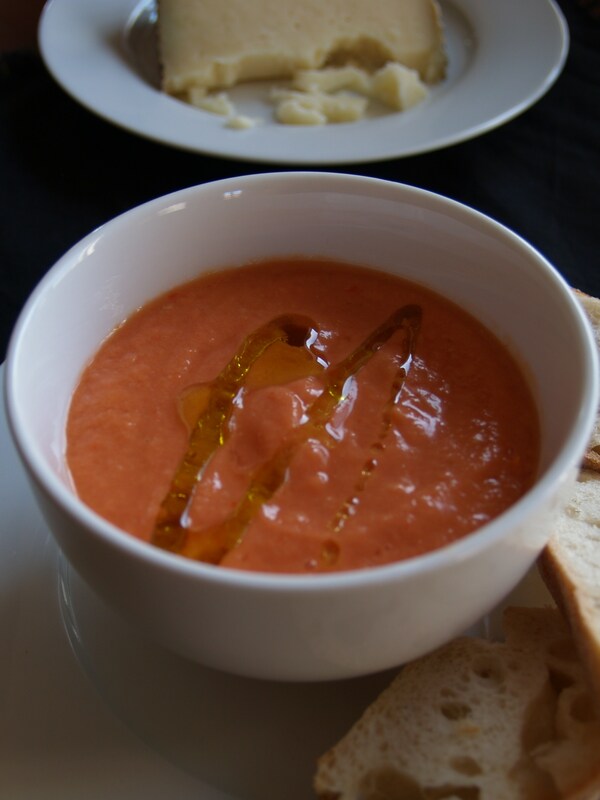 And since you missed out on my favourite salmorejo, made with remolacha (beets), I thought I’d pass some info along. mmm…I love beets! Thanks for showing us around Seville. That sounds amazing. And I love your pictures. The rooster ones made me laugh. 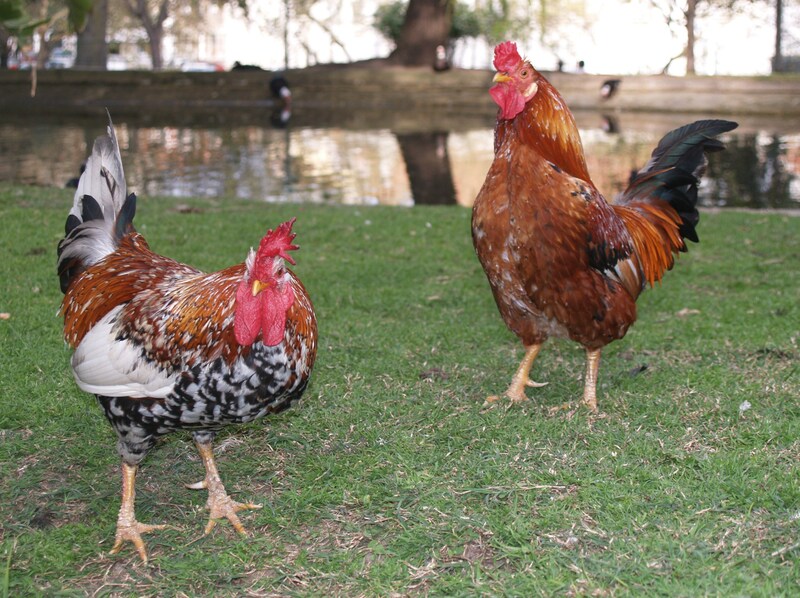 My wife likes roosters, what can I say? Happy travels and eating!